Place the Yes/No tokens in the large compartment in the box bottom, and the Maybe tokens in the smaller compartment. Place the So Close and Correct tokens near the box bottom. Shuffle the cards together, and deal one facedown to each player, leaving one card in the center. Players look at their card secretly. The player with the Mayor card reveals his card, then takes the center card and looks at it secretly-this is the Mayor's secret role. Then he places the box with the tokens in it in front of himself. Finally, he places the iOS/Android device near enough for him to reach it, but still as close as possible to the other players. If no player has the Mayor card, the player to the left of the last player who was Mayor takes the center card (which is the Mayor card) and reveals it. If this is the first game, shuffle the cards and re-deal them to all players until one player gets the Mayor card. The app tells all players to close their eyes, and then it tells the Mayor to wake up and tap his secret role. 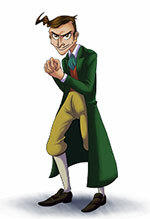 The Mayor opens his eyes and taps his secret role (such as a Villager, Werewolf, or Seer) in the app. Next, the Mayor chooses a Magic Word from the ones shown. The Mayor should choose a word that he thinks the players will be able to guess. The Magic Word is shown to the Mayor to confirm his selection. Then the app tells the Mayor to close his eyes. Next, the app tells the Seer to wake up. The Seer views the Magic Word, and then the app tells the Seer to close her eyes. Then the app tells the Werewolf to open his eyes. The Werewolf views the Magic Word. After a few seconds, the app tells the Werewolf to close his eyes. The app then tells everyone to wake up and starts the timer for the Day Phase. While the timer is running, all the players try to figure out the Magic Word. The players do this by asking the Mayor questions that require a simple "yes" or "no" answer. The Mayor may not speak; instead, he must give the person who asked the question an answer token: Yes/No (with the appropriate side up), So Close, or Maybe. The Mayor usually wants the village team (the Villagers, Seer, and Mayor) to win, and should answer questions in a manner that leads them to the correct answer. 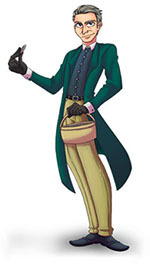 The Mayor may not point at any players or tokens, or speak until time runs out or the Magic Word has been guessed. The Mayor may not ignore questions posed to him even if they have been previously asked. Players may talk to each other during the Day Phase, and can even ask each other questions before posing them to the Mayor. Only one question should be asked of the Mayor at a time. The Mayor may not talk with the players at all, even to verify a previous question and answer. Players (including the Mayor) may not look up the Magic Word or consult with anything or anyone outside the game regarding the Magic Word until the Day Phase is over. The tokens are limited-when the last Yes/No token is given to a player, the Day Phase is over and the Mayor must tap the "No More Tokens" button on the app. If the players guess the Magic Word before time runs out, the Mayor presses the green Correct button on the app, and then hands the Correct token to the player who guessed correctly. To guess correctly, players must directly ask the complete word. (e.g., "Is the word 'frog'? "; "Is it 'frog'?") An indirect or incomplete guess, even if it includes the Magic Word (e.g., "Is it a kind of frog?") is not correct. The Mayor might use the So Close token in this case, though. After a Correct guess, only the Werewolf shows his card. The Werewolf then has a last chance to win if he can guess who the Seer is. The Werewolf has just 15 seconds to figure this out, then he must point at a player, who turns over their role card. If the Werewolf finds the Seer, the werewolf team wins and the village team loses. If the Werewolf does not find the Seer, the village team wins. If the players don't guess the Magic Word before time runs out or the No More Tokens button is tapped, players have one minute to discuss among themselves who they think the Werewolf is. When this discussion starts, players may claim to be certain roles (whether they are that role or not), but may not reveal their cards until the final vote has taken place. When the minute is up, everyone points at the player they think is the Werewolf (you cannot point at yourself). The player with the most votes must reveal their card. If the majority of players point at a Werewolf, the village team wins and the werewolf team loses. If they do not, the werewolf team wins, and everyone else loses. If there is a tie for the most votes, all tied players reveal their cards. If any of them are a Werewolf, the village team wins and the werewolf team loses. If each player receives one vote, the werewolf team wins. Sometimes you'll get the word just as time runs out, and the Mayor doesn't have time to press the Correct button before the app announces that time has run out. Or maybe the Mayor tapped the Correct button accidentally, when the word actually had been guessed correctly. Either way, you can get things back on track by tapping the Whoops button in the lower right; this will display the other end game condition from the one currently shown on the app. If you want to play again quickly, tap the Play Again button on the screen that appears at the end of the game. You can also change the difficulty level on this screen. 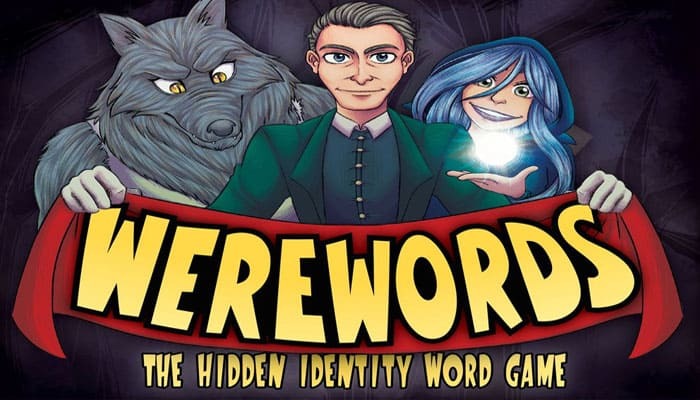 If the Mayor is a Werewolf, he doesn't want the players to guess the word; his winning condition is the same as any other Werewolf player. In this case, the Mayor might be able to choose a slightly harder Magic Word. 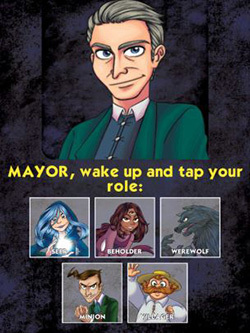 During the Day Phase, the Werewolf-Mayor may mislead or even lie to the players when giving tokens to lead them away from the correct answer. If the Mayor is the Seer, he wants the village to guess the word. Because he doesn't have a Seer to help him out, he might be able to choose a slightly easier Magic Word. Of course, if the word is too easy, the Werewolf might figure out that the Mayor is the Seer. If you have seven or more players, consider adding a second Werewolf to the game (keeping the total number of cards, including the Mayor, to one more than the number of players).When using a second Werewolf, the app allows each Werewolf a chance to see who the other Werewolf is. If the Magic Word is guessed correctly, each Werewolf may vote for a different player, and both of those players must reveal their cards - if either one of them is the Seer, the Werewolves win. 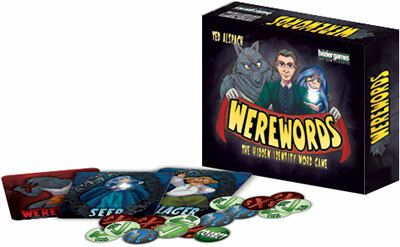 If the Magic Word is not guessed correctly, the players just have to find one of the two Werewolves to win. As long as either Werewolf gets the majority of votes, the village team wins and the werewolf team loses. 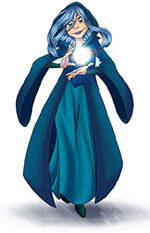 The app lets the Beholder view the Seer, but does not show her the Magic Word. The Beholder is on the village team. If a Werewolf points to the Beholder (and not the Seer) when the Magic Word is correctly guessed, the village team still wins. The Beholder never reveals her card during the game. The app lets the Minion view the Werewolf, but does not show him the Magic Word. The Minion is on the werewolf team. If the majority of players point to the Minion when the Magic Word has not been guessed, the village team still wins just as if they had found a Werewolf. If the Mayor is a Minion, he may lie just as if he was a Werewolf. The Minion does not vote with the Werewolves, and never reveals his card during the game. The Villager does nothing. They don't see the word, they don't wake up, they just, like all other non-Mayor Village Team players, try to guess the word. 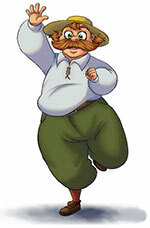 If the Mayor's a Villager, nothing really happens. All village team players should pay attention to everyone who asks questions. If someone seems to be playing slowly or trying to derail the line of questioning, that person just might be a Werewolf. 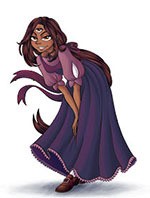 The Seer has to be careful not to make her knowledge so obvious that the Werewolf will know who she is. 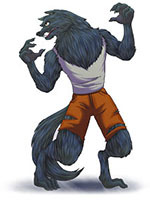 The Werewolves should, without making it too obvious, attempt to slow down the rate in which the group reaches their conclusion and use up tokens with questions that don't really help the other players. The Werewolves should also pay attention to the other players to try to spot the Seer among the players.